How to Get a Cat to Use a Scratching Post? Teaching a cat to use a scratching post can be one of the most important parts of owning a cat these days. After all, cats do need to scratch something. Many pet owners are not in favor of getting their cats declawed these days. However, they will still want to make sure that their cats are not going to be able to threaten their furniture, and this is something that requires careful planning. It is possible to get a cat to use a scratching post. The cat owners who get to this point will thank themselves for it later. 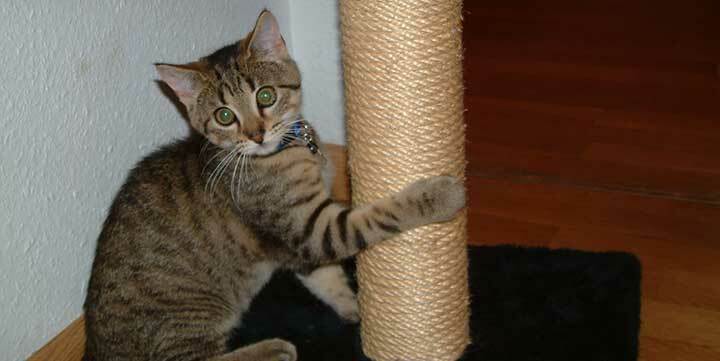 A scratching post can be even more important than a cat stain vacuum cleaner. A lot of cats love catnip, and it is just the sort of tool that people can use in order to get cats interested in a new scratching post. Cats, like most animals, respond to scents with much more emotion than humans usually do, and they will tend to follow scents in their immediate environment. They love the smell of catnip, assuming they have been introduced to it already. If people rub some catnip on the scratching post, cats will be much more drawn to the scratching post right away. They will also probably enjoy using it in a way that they would not otherwise. Using the scratching post might convince a lot of cats to use catnip more often, even as they are using the scratching posts more often. Doing something similar with cat food can work, but catnip often has a stronger scent. Cats do respond to cat toys all the time. Dangling a cat toy in the vicinity of a scratching post can make a huge difference for the cat owners that are trying to find a way to coax their cats to use their scratching posts. The cat will be drawn to the toy right away. However, the cat will be interested in what is going on with his or her immediate environment at that time. As such, it will be easier to get a cat interested in the scratching post after getting his or her attention with a cat toy initially. When a cat uses the scratching post, it is a good idea to provide some positive reinforcement. This often translates to affection. Cats will not understand the words, obviously, but they do respond to rubs on the back and to a low and comforting tone of voice. If pet owners always pet their cats or tell them that they’re good in some way after they use the scratching post, the cats will be more likely to keep on doing it. It is a myth that cats are not social animals and do not respond to affection. The idea that cats are miniature sociopaths is ludicrous, and it seems to be a rumor spread by the people who do not like cats. Cats often live together when they escape into the wild and start colonies. Many big cats are social. Cats absolutely care about the approval of their owners in a manner that is reminiscent of the way dogs seek affection. Rewarding cats with affection when they do something right is always a good idea. Cats do understand cause and effect, and they will probably keep on using the scratching post just to make sure that they keep on receiving positive reinforcement from their owners. Cats do love attention, and they will often do a lot of different things in order to get it. The scratching post should be in the right place. Some people might put it next to the sofa, hoping that the cat will choose the scratching post and not the sofa in the nick of time. However, while that might work, it still might be better to put the scratching post next to the cat bed or another place that the cat considers private. Cats are territorial. It makes sense for the cat to associate an object with his or her corner of the house. Also, a cat who is scratching something that is next to the sofa might end up scratching the sofa as well as the scratching post. Getting the cat away from the sofa makes sense. DIY Fun Project: How To Make A Dog Sling Carrier? 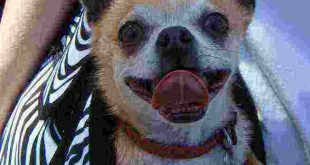 How to Register my Dog as an Emotional Support Animal? 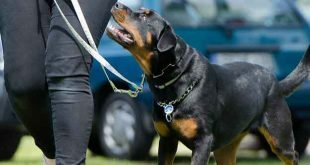 How to Become a Certified Dog Trainer? Homemade Carpet Cleaner For Pet Stains That Really Works! How To Remove Pet Stains From Hardwood Floors? Why exotic animals should not be pets? 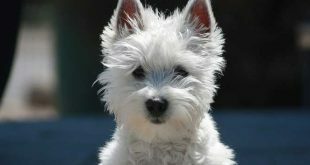 Is roundup safe for pets? CaringThePet.com participates in the Amazon Services LLC Associates Program, which is an affiliate advertising program designed to provide a means for websites to earn advertising fees by advertising and linking to amazon.com. 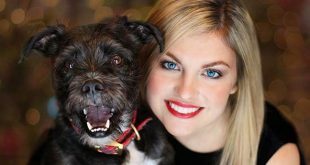 How To Get Rid Of Pet Odor?